Can you do building work between exchange & completion? Can you pull out after contracts exchange? What should the estate agent being doing during all this? Buyers: What needs to happen before I can exchange? Sellers: What needs to happen before I can exchange? How do solicitors & licensed conveyancers exchange contracts? How can I make completion day less stressful? Exchange of contracts is the point at which a property transaction becomes legally binding. Both parties are contractually bound to finalise the sale/purchase on the agreed completion date. At the point at which the solicitors confirm with each other they hold all the legal documents required for the transaction to complete, they ‘exchange’ contracts (usually over the telephone) the transaction becomes legally binding. Years ago, solicitors used to meet and physically exchange contracts, however that practice has been replaced by a verbal agreement over the telephone. On the day of exchange, the legal company at the bottom of the chain has to contact the next legal company up and confirm to them that they’re in receipt of a signed contract of sale and deposit funds and also confirm the terms of the sale and completion date. They will give the next solicitor or conveyancer up the chain a ‘release’ time to come back to them to confirm the exchange, this may be 4pm or 5pm that same day. The next conveyancer has to contact their client’s seller’s solicitor or conveyancer in the same way, until the one at the top of the chain has been reached. The exchange then needs to be confirmed back ‘down’ the chain, to reach the first legal company within the release timeframe. If that doesn’t happen, the exchange process will have to be re-started the next day. What is the significance of exchanging contracts? The significance of this stage of the property sale/purchase is that it marks the point at which both parties are legally bound to complete the transaction. It sets the completion date and confirms all the legal paperwork is either already in place for completion or is guaranteed to be in place before then. If either party were to pull out after exchange, there would be penalties. Completion is when a property transaction is legally finalised and the new owners get the keys. It takes place on a date specified at exchange of contracts. The buyer is given the keys, usually by the selling agent, and is free to move in. When the seller’s solicitor or conveyancer receives the full purchase funds, they will confirm to their client, the buyer’s legal representative and the selling agent that the sale has completed. The seller is normally bound to give vacant possession by 1pm, so they will generally have moved out on the morning of completion day. The buyer is free to collect the keys (usually from the selling agent) and move in. Once the sale has completed, the buyer is liable to pay any Stamp Duty Land Tax due to HMRC (usually handled by their solicitor, on their behalf). Their conveyancer will also register the buyer’s ownership with the Land Registry. However, it is the buyers responsibility to make sure the money is paid and ownership registered. What is the significance of completion? Completion signifies that ownership of and responsibility for the property has transferred from the seller to the buyer. Given that the transaction is not legally binding until exchange has taken place, there is generally anything from two to four weeks between exchange and completion, to allow all parties to make moving arrangements. The more parties in the chain, the more time it is likely to take to find a completion date that suits everyone, so be prepared to compromise and accept you might not be able to agree on your first choice. Because most people have a full-time job, completions tend to take place on a Friday to give everyone the weekend to get the initial moving in and unpacking done, without having to take more than an afternoon or a day off work. As such, it’s often the busiest day for removals companies, so once you have an idea of when you’re likely to complete, it’s a good idea to make a tentative booking. Most removals companies will be happy to ‘pencil in’ a date, although they are unlikely to guarantee it until you pay the deposit. If you are able to agree to complete on a day other than Friday, the transaction is likely to complete earlier in the day, because mortgage companies and solicitors aren’t as busy, and you may be able to get a better price for your removals, so it’s worth making enquiries early on. The deposit that the buyer is required to pay on exchange is different to the ‘deposit’ required by a mortgage lender. For the purposes of the legal agreement, the deposit on exchange varies from 5-10% or more of the purchase price, which must be lodged with the buyer’s conveyancer as cleared funds, i.e. via bank transfer, a cashier’s cheque or money order, or a cheque that has been cleared by the bank. As a buyer, if you can ensure your funds are sent over to your solicitor or conveyancer several days in advance of the proposed exchange date, it should help move things along smoothly. If there is a chain, it is usual that a seller may be using the funds they receive from their buyer to pay for some, if not all of their onward purchase. As such, the deposit lodged by the buyer at the bottom of the chain may be taken into account and passed up the chain. For example, if the person at the bottom of the chain (Buyer A) is buying for £150,000 and their seller (Buyer B) is buying for £250,000, the £15,000 deposit lodged by Buyer A can be put towards Buyer B’s deposit, so they will only need to lodge £10,000 with their conveyancer, rather than the full £25,000. If Buyer C is downsizing and only buying at £200,000, they won’t need to lodge any deposit, as it is covered by the funds already in the chain. As a seller, the buyer’s deposit funds give you peace of mind that they fully intend to proceed to completion and, if they don’t, you will be entitled to keep the full deposit as compensation. You cannot, however, access the deposit funds until the transaction has completed. The only exception would be if you required the deposit to be paid to an onward purchase of a new build, where the developer requires the deposit, in which case, the funds would be paid to them and guaranteed by a New Build Guarantee Scheme (such as NHBC). Yes you can, via a side legal agreement called a ‘key undertaking’. It’s most commonly used when a property is currently vacant and requires refurbishment or modernisation, in order that the buyers are able to get it up to a standard where they can move in on completion. The other instance where a key undertaking is employed is if the buyer’s mortgage lender has placed retention on the mortgage funds (i.e. is holding an amount back) until certain remedial works are carried out on the property, and the seller is not willing or able to carry them out themselves. In this case, granting the buyer access to undertake the required works may be the only way for the sale to proceed. If the seller agrees to allow access (which they may not) the key undertaking document will need to detail the exact nature of the works you intend to carry out and what will happen if you don’t complete the purchase for any reason. Key undertakings also often stipulate that the buyer is responsible for the utilities and Council Tax from the date of exchange. It is certainly possible to exchange and complete on the same day, although it does make the transaction more stressful as a lot has to be organised with no guarantee that the sale/purchase will go ahead. 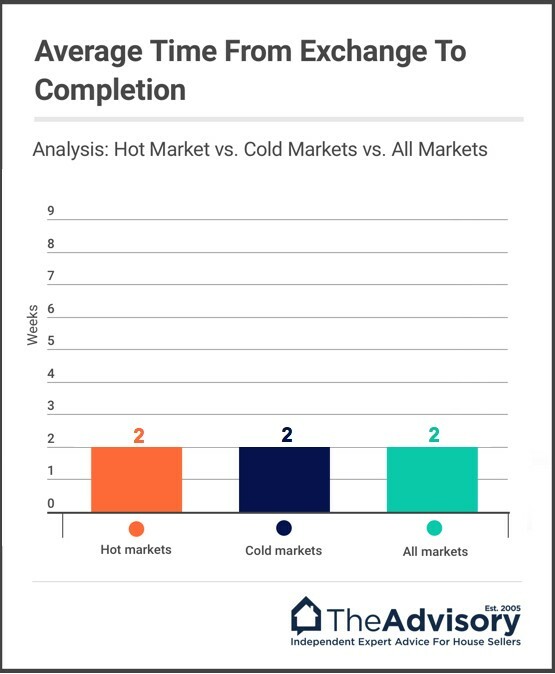 A same day (or simultaneous) exchange and completion is most common where there is a cash buyer, no chain and both parties are looking for a quick transaction. If a mortgage is required, it may not be possible, as some lenders require a minimum period between exchange and completion, typically five working days. The downside of planning to exchange and complete on the same day is that there are a number of things that can hold up exchange – such as signed paperwork not being received in time, searches being delayed, a title issue, last-minute mortgage issues – so you risk losing out and running into problems if you have committed to removals, arranged for mail to be redirected, etc. Essentially, unless there is a very good reason for pushing through a speedy purchase/sale, it is much better to leaving at least a couple of weeks between exchange and completion, so that nobody is making commitments they may not be able to fulfil. An attended exchange of contracts is where the buyer and seller meet in person, together with their legal representatives, to come to an agreement on the terms of the sale/purchase and push through exchange as soon as possible, ideally on the same day. It tends to mainly be developers and property traders that look to carry out the transaction in this way. It’s used when one or both parties want to push through the transaction as quickly as possible. The buyer may want to own and start developing what they see as an excellent acquisition before anyone else gets hold of it, or the seller might have a pressing need to release their equity as soon as possible. When a property is highly desirable and of great interest to a number of parties, if a buyer is able to push through a quick purchase in this way, that may give them an advantage and allow them to secure the property. From a seller’s perspective, a quick sale will allow them to access capital that they may have an immediate need for – either to complete another purchase or to satisfy some other financial commitment. It is typically only possible to reach exchange in this way if you’re a cash buyer, as most mortgage lenders will require more time to have searches, a mortgage valuation and possibly a home buyer’s survey carried out and paid for by the buyer, not to mention the time they take to prepare and issue a mortgage offer. All parties meet face to face, usually at the seller’s solicitor’s offices. If either the buyer or seller is unavailable in person, they will be contactable on the phone. Exchange is usually achieved the same day. The main thing to be aware of is that all the risk is placed on the buyer, so it is not for someone who’s inexperienced. Generally, it is only well-capitalised, professional property investors who attempt attended exchanges. The first thing to say is that either party pulling out after exchange is extremely rare. At the point of exchange, both the buyer and seller are contractually committed to completing, so pulling out is a breach of contract and attracts financial penalties. As a buyer, you have the most to lose by pulling out, because you will forfeit your entire deposit and may be liable to pay interest on the balance of completion funds. As such, you should never proceed to exchange if you have any doubt about completing the purchase. As a seller, if you pull out, you are liable for the costs incurred by the buyer in the transaction to date, which is usually their conveyancing solicitor’s fees and the survey fee. It is not as financially punitive as it is for the buyer, but you should be aware that estate agents will be wary about dealing with you in the future because they don’t get paid for failed transactions. However, it may be that due to unforeseen circumstances you have no choice, such as an unexpected divorce, death or discovery of a required job move. In these cases it is worth seeing if it is possible to negotiate and that the seller/buyer will be sympathetic to your circumstances. The key to moving the transaction along as quickly as possible is for all parties to respond to requests for information or action right away. If buyers or sellers are unclear about the process or slow to respond, or solicitors and conveyancers don’t process things as quickly as they could, transactions can drag on for really no good reason. There should be good communication between the buyer, their legal representative and their mortgage broker; similarly, the seller should be in touch with their conveyancer and estate agent to make sure things are moving along and there are no problems. The estate agent should be in touch with all parties, checking in to progress the sale on a regular basis. It also helps if you can agree an exchange and completion date to aim for right from the start, to give everyone a timescale to work towards. This can help to uncover issues such as holidays which can delay progress. Have your conveyancer’s details ready to give the agent when making an offer. Make sure you understand the process – your solicitor or conveyancer should have a simple document outlining what happens when – then you know what you might need to chase up. Provide your conveyancer with everything they need as soon as they ask for it and make sure your initial cheque to cover searches. 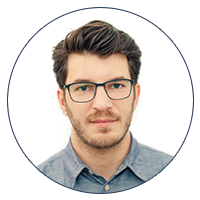 is lodged with them early – and that they apply for the searches as soon as they have your funds. Instruct an independent survey to be carried out as soon as possible. Ensure your deposit funds are easily accessible and with your solicitor or conveyancer as soon as exchange is on the horizon. Organise buildings insurance for the date of exchange so you can give the policy details to your legal company. 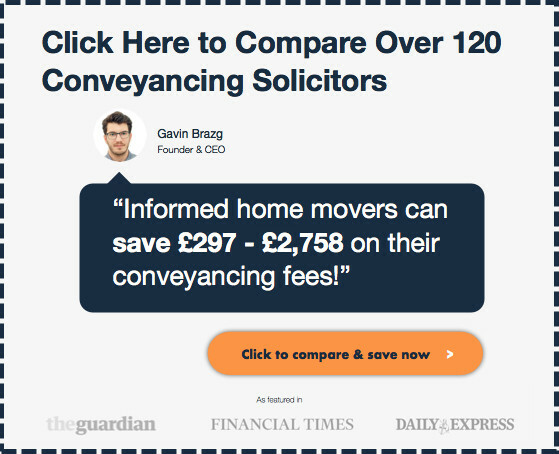 Choose your conveyancer based on quality of services (not just price). Prior to your property coming to market, start putting together all receipts and warranties for work you’ve carried out and any formal documentation relating to home improvements, such as building regulations and gas and electrical certification. Instruct a solicitor or conveyancer before you’ve even had an offer, so they can contact your mortgage lender for the title deeds and start preparing the sale contract, ready to send out as soon as you secure a buyer. Understanding the conveyancing process will reduce stress and enable you to be more proactive. Complete property information and fixtures & fitting forms as soon as you receive them. Respond to additional enquiries by return. Sign and return the contract and deed of transfer in good time. The estate agent should be progressing the sale, i.e. liaising with all parties to make sure each stage of the transaction is happening, as it should be. Because the buyer and seller can’t speak to each other’s conveyancer, it’s important for the estate agent to be able to keep them updated and reassured. Many estate agents now have dedicated sales progression teams, who spend all their time helping move transactions along and keeping clients informed. Some use software that allows buyers and sellers to log on and see exactly where they are in the process and what might be causing delays. Estate agents are often well placed to negotiate if any problems arise, such as adverse surveys that require a renegotiation of the price. Estate agents play an important role in reassuring both parties if things seem to be taking longer than expected. A good ‘no sale, no fee’ estate agent – one who’s experienced, knowledgeable and proactive – can really help achieve a smooth sale and purchase and it’s in their own interest, as they don’t get paid unless the transaction completes! Getting ready to exchange contracts is a matter of getting the right legal and financial documentation signed and funds being in the right hands. Your deposit funds (usually 5-10%; your solicitor or conveyancer will advise you of the amount required) must be cleared with your legal company. You have signed the contract of sale. You have signed the deed of transfer of title (although this is not strictly legally necessary, as long as the seller has signed it). You have arranged Buildings Insurance for the property. You have agreed a completion date. Be in possession of a signed contract and deed of transfer (if applicable). Have search results and any irregularities/concerns should have been addressed/resolved. Be in possession of your cleared deposit funds. Have a copy of your survey to check if there are any other queries which need to be addressed. Be in possession of your mortgage lender’s offer and have confirmed with the lender that they are able to provide the funds in time for completion. Have a copy of your Buildings Insurance policy, effective from exchange. Prepare a completion statement, detailing all the monies you have to pay. Have all paperwork relating to the lease and management of the building (if buying Leasehold). As the onus is more on the buyer than the seller in the transaction, there is not as much for you to do. Ensure you have responded to all enquiries and provided all required documentation (warranties, guarantees, certification of works etc.). Ensure you have signed the contract and transfer of title document. Be in possession of your signed contract and signed transfer of title document. Be sure the deposit has at least been lodged with the buyers legal company ready for transfer. Have an estimate of any mortgage redemption costs, especially any early redemption charges you may have to pay. In the past, solicitors would meet up in person to physically exchange contracts, however, these days it is done over the telephone. They verbally confirm and agree the terms of the contract, the completion date and that they hold the required documentation and funds. Once each solicitor in the chain has, in turn, agreed all this with the corresponding buyer’s/seller’s solicitor, contracts are said to have been exchanged. On the day of exchange, the solicitor or conveyancer at the bottom of the chain has to contact the next one up and confirm to them that they’re in receipt of a signed contract of sale and deposit funds and also confirm the terms of the sale and completion date. They will give the next legal representative up the chain a ‘release’ time to come back to them to confirm the exchange, for example this may be 4pm or 5pm that same day. The next solicitor or conveyancer has to contact their client’s seller’s legal company in the same way, until the solicitor at the top of the chain has been reached. The exchange then needs to be confirmed back ‘down’ the chain, to reach the first legal company within the release timeframe. If that doesn’t happen, the exchange process will have to be re-started the next day. How long does it take to exchange contracts on the day? It depends on how many people are in the chain and therefore how many solicitors need to be contacted in turn. If there is only one buyer and seller, exchange can happen as quickly as they can make and receive a call. If, however, there are several people in the chain and three or four legal companies and mortgage lenders involved, it can take all day, because one solicitor or conveyancer might not be available when another calls. What is important to think through in advance is how long you need between exchange and completion. For example, if you have lived in a home for the average 21 or more years you may need a month or more to be able to downsize your contents or put them into storage prior to moving. If you don’t have too much to move, you may not need the ‘standard’ two weeks legal companies tend to suggest. Why might exchange not happen on the day it’s supposed to? Often this is down to a conveyancer being unavailable to take or make the required phone calls, either because they’re out of the office or in a meeting. Regardless of the reason, it does suggest the solicitor or client may not be acting in the best interest of their client and it’s very frustrating for all parties. Other reasons maybe required paperwork which was promised and not received, such as offers from lenders or it could be deposits being promised but not being transferred by buyers in time. Other key reasons include buyers and/or sellers going on holiday or being away with work and not leaving the appropriate instructions with their legal company. Bear in mind that most legal companies work on cases which they have to complete legally that week first, then, if time, look at property transactions which are expected to exchange and then progress other cases. As a result they may intend to exchange on a certain date but when they look at the file, perhaps on the one day or morning they have spare, they realise they are missing key information required. This is particularly the case if they are not a proactive legal company or overload the legal department with too many cases. Make sure you pick a conveyancing firm that is proactive, has the most up to date technology and is keen to achieve exchange and completion dates you set rather than ones that suit them. Once exchange has taken place and all parties are legally obliged to complete, everyone can make their arrangements for the agreed completion day. Confirms removals and starts packing. Plans move (change of address, mail redirection, etc.). Contacts utilities and services to inform them of impending transfer or end of service. Ensures mortgage company is on track to transfer monies on completion. Draws up final completion statement. Ensures everything they agreed to include in the purchase is left in place. Set up mail redirection to take effect from completion date. Leaves a set of keys with the estate agent, to be handed to the buyer on completion. Confirms redemption amount with mortgage lender. The length of time between exchange and completion is whatever all the parties involved agree to, but it’s usually one or two weeks. Buyers and sellers can confirm removals and start packing. All parties can arrange for the transfer of services and utilities and redirection of mail. There is time to draw down any mortgages required. Sometimes exchange and completion take place on the same day and sometimes there can be a gap of one or two months (or even longer). A longer gap is most often seen in cases where someone is currently in rented accommodation and needs to give two months’ notice, which they wouldn’t be advised to do until exchange has taken place. If you’re buying a new build, there may be a much longer delay, as the property may not have been built at the point you exchange. A delayed completion date may also be agreed if the sellers of a property you’re buying have not yet secured an onward purchase. The one thing to be aware of is the expiration of mortgage offers, which are usually valid for three to six months. So if you received your mortgage offer early in the process and it took several months to get to exchange, your completion deadline might be dictated by your mortgage lender, otherwise you will have to reapply, which is likely to delay the process for everyone. On completion day, the purchase monies (comprising the buyer’s own funds and any required mortgage) are transferred to the seller’s solicitor, at which point the transaction is completed. The seller is usually obliged to vacate the property by 1pm on the day and ownership transfers to the buyer. What can cause delays on completion day? The main cause of delay is usually the transfer of monies. If a mortgage is involved, the funds have to be sent by the lender to the buyer’s solicitor or conveyancer, who must then pass them straight on to the seller’s legal company. Provided the lender makes the transfer first thing in the morning and the buyer’s solicitor or conveyancer attends to the onward transfer right away, completion can usually take place by 12 noon. However, if the seller’s legal representative has not received the funds by 3pm, completion may not happen until the following day – although this is very rare. The other thing that can hamper the process is if a party in the chain has miscalculated the monies required to complete, which includes stamp duty and any agents’ fees plus VAT. Last-minute transfers can mean the transaction doesn’t complete until later in the day. From a logistical perspective, people not starting the removals process in good time can cause delays. Sometimes the transaction has completed but a buyer is unable to move into their new home because the seller has not yet vacated it. In this case, if costs are incurred, such as additional removals charges or there is the need for overnight accommodation, the seller can be pursued for costs. These are good reasons why it is worth aiming for completion earlier in the week so there is still time to complete prior to the weekend, rather than relying on everything going well on a Friday. What happens if completion doesn’t take place? If either party fails to complete on the contractually agreed date, they are in breach of contract and there are penalties. They will be served with a notice to complete within ten working days (2 weeks) before contracts are rescinded. They are liable to pay interest to the seller on the amount of the purchase monies not sent through – normally calculated at 4% above the Bank of England Base Rate. If they do not complete within two weeks, the seller rescinds their contract and the buyer forfeits their deposit. The seller can resell their property to someone else and may pursue the buyer for losses incurred if they cannot achieve the same sale price. The buyer can rescind their contract, if it has not already been withdrawn by the seller. The seller must return the buyer’s deposit. The seller is liable for the buyer’s costs, such as legal, mortgage and survey fees. For the seller and buyer, completion is mainly about physically moving house. However, for their legal representatives, there are some key transactions that still need to be processed. Collects the keys from the selling agent and begins to move in. Checks that all fixtures and fittings are present as agreed in the contract of sale and informs agent and/or solicitor if anything is out of order. Notifies utility companies of new ownership & takes meter readings. Informs contacts of change of address. Transfers deposit to seller’s solicitor. Registers title deed of ownership with the Land Registry. Submit Stamp Duty Land Tax Return. Pays Stamp Duty Land Tax due to HMRC. Sends buyer the Title Information Document, a summary of information the Land Registry holds and an SDLT5 certificate as evidence that the Stamp Duty has been paid. Vacates property (although they usually move out first thing in the morning, ready for completion). Hands a set of keys to estate agent, if not done so already. Redeems any mortgage on the property. Pays remaining balance over to seller. The key to your completion day running smoothly is effective planning. Put together a list of everything you need to do early in the process and start making arrangements as soon as you know exchange is on the horizon. As Friday is the most popular day for completions, consider doing it on another day when legal companies, mortgage lenders and removals companies aren’t so busy. Give yourself and your removals company plenty of time to pack and consider paying for a night of storage so you’re not rushing to get everything out of the property on the morning of completion. Set aside all your most valuable possessions – anything you want to keep with you on moving day, rather than leave to the removals company. Get these together early, so you don’t overlook anything and panic on the day. Keep a folder of all your important legal, financial and personal paperwork and make sure you’ve always got access to it, in case your solicitor or conveyancer, mortgage broker or insurance company need any information from you. Check your belongings are properly insured for removals, via your own contents insurance and/or by the removals company’s insurance. Speak to the estate agent a few days before to make arrangements for collecting the keys. Some agents will offer to meet you at your new property, which can be a big help if going to their office would mean a big detour for you. If you have pets and/or young children, it might be a good idea to have them stay with friends or family on the day. Have a ‘Plan B’ with alternative accommodation in reserve, just in case anything goes wrong and you can’t move in that day. Stamp Duty Land Tax – paid on your behalf by your solicitor within 30 days of completion. You must pay this amount to your solicitor before you can complete if they don’t have enough funds. Land registration fee, paid to the Land Registry to update ownership records for the property. Again, this must be paid to your solicitor prior to completion. Property search fee – this includes local authority, drainage and environmental searches, the title plan and the chancel indemnity insurance. You will have paid for these up front after you instructed your solicitor. Fees for Identity and pre-completion checks. Legal company’s fee, including VAT. Deposit paid when you instructed your solicitor or conveyancer. Property searches, paid shortly after instructing your legal company. 5-10% deposit, paid on exchange of contracts, or the deposit amount agreed. Mortgage advance (to be drawn down prior to completion). Arrange to be at your new home at 1pm, by which time the seller should have vacated. Inform contacts, suppliers, providers and membership associations of new address. Make sure you’re leaving everything as agreed in the fixtures and fittings form. Leave light bulbs and make sure there are no bare wires. Ensure keys are with estate agent. Contact local authority to inform them you no longer own the property. Cancel direct debits for mortgage and buildings insurance on the property. Exchange of contracts is the point at which the buyer pays a deposit and the sale/purchase contract becomes legally binding. Completion is when the balance of the payment for the property is passed over to the seller’s solicitor and ownership transfers to the buyer. The date of completion is one that is agreed by both parties prior to exchange, commonly one or two weeks later. It is the date on which full payment is made to the seller, ownership transfers to the buyer and moving day takes place. How much time is REALLY needed between exchange and completion? Legally, exchange and completion can take place on the same day. However, if a mortgage is required for the purchase, the lender might require five working days between the two and it is much less stressful for all parties if there is a period of time after the transaction becomes legally binding, to give everyone time to make moving arrangements. If you are trading down, think about how long it will take you to downsize your contents. It may take weeks or even months, so if you need more time between exchange and completion, do make sure you secure this early on in the process. What does completion mean when you are buying a house? When you’re buying a house, completion means you have paid the seller (commonly with a combination of your own money and mortgage funds from a lender) and ownership of the property has passed to you. It is the day you can move in. What does it mean when you exchange contracts on a house? Exchanging contracts is the point at which the buyer and seller are both legally bound to complete the transaction. The buyer lodges a deposit with their solicitor and if either party pulls out of the agreement, which is very rare, there are financial penalties. Can you exchange contracts without a completion date? No, both parties must agree a date, which is inserted into the contract before exchange can take place.